Windsor Browne is a brand created by Melody Maison to showcase items with a more quirky, industrial, earthy or gentleman’s club style. There are all sorts of more vintage style items including furniture and accessories for the home. I have three items from this collection! 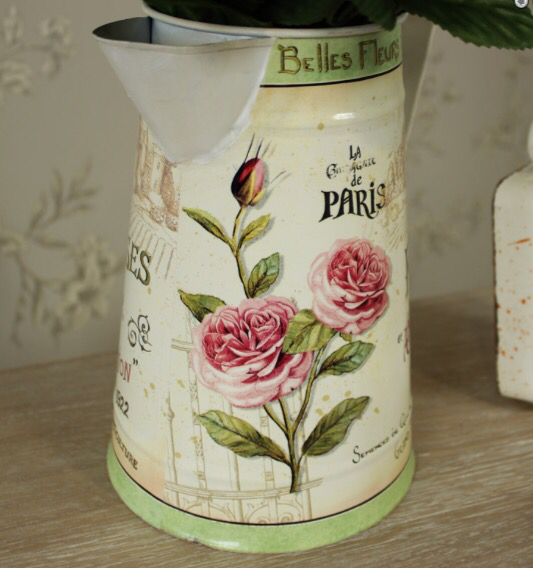 The first is a Floral French metal jug. 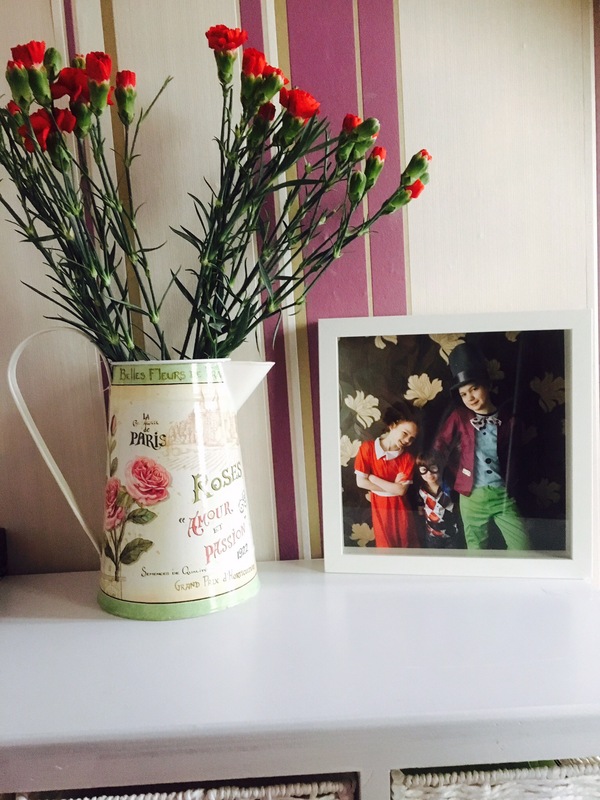 This may just look like an everyday type plant watering jug from the outset, and yes it can be used for plant watering but it also makes a rather pretty centre piece decoration. Either stand alone or as a flower vase like I’ve done here. As it’s made of metal, there is little chance of it breaking or cracking and I think it looks so much prettier than the usual glass vases. 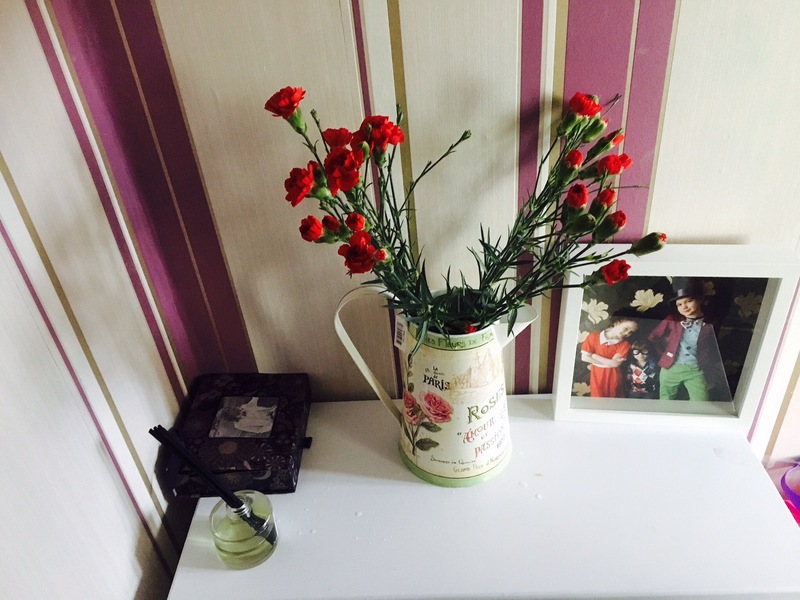 It costs just under £10 and makes a perfect accessory in my newly decorated hallway. Next is one product that I always need, but can never find. It’s a bottle opener, but one that is very unlikely to become lost. 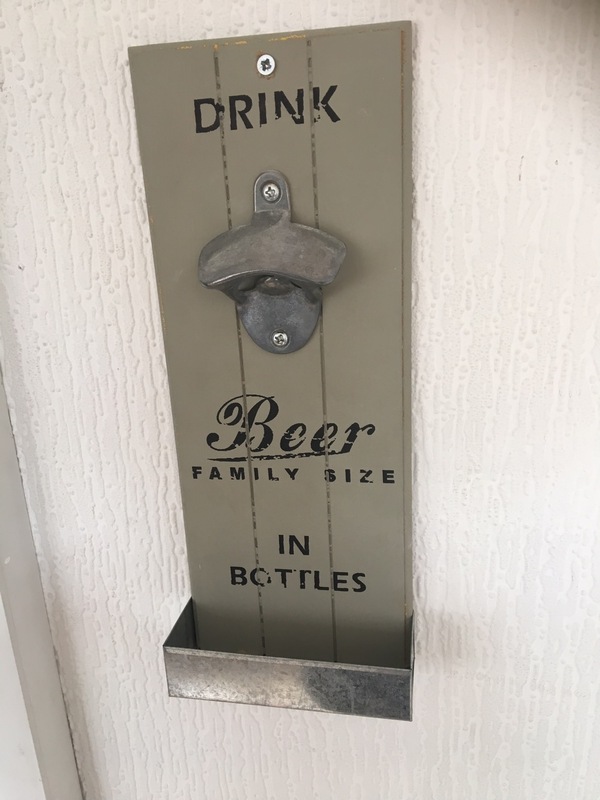 This bottle opener is wall mounted and has a retro pub theme to it. I don’t drink beer at all but I do enjoy the odd treat of Coca Cola in glass bottles so this will come in handy. It also looks quite quirky next to my fridge too. I did have a few problems getting this on the wall. There are two screw slots at the back but it does not come with any screws or bolts and everything I tried was either too big or too small or just did not work. In the end I had to drill a small hole through the top of it and hang it that way, but it’s up now and it’s not a huge problem. 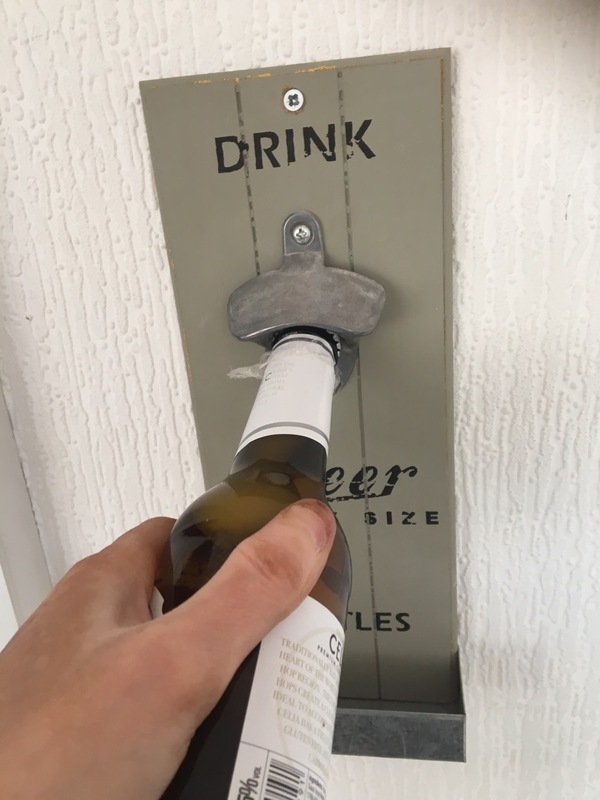 Yes it does work, just attach a bottle lid to the metal hole and open as you would any other bottle. The metal tray thing at the bottom even catches the drips. I best make sure I remember to give it a wipe! I’ll never be searching for a bottle opener again now this is on my kitchen wall. This one is just £10.95 but it does not come with appropriate wall fixings. 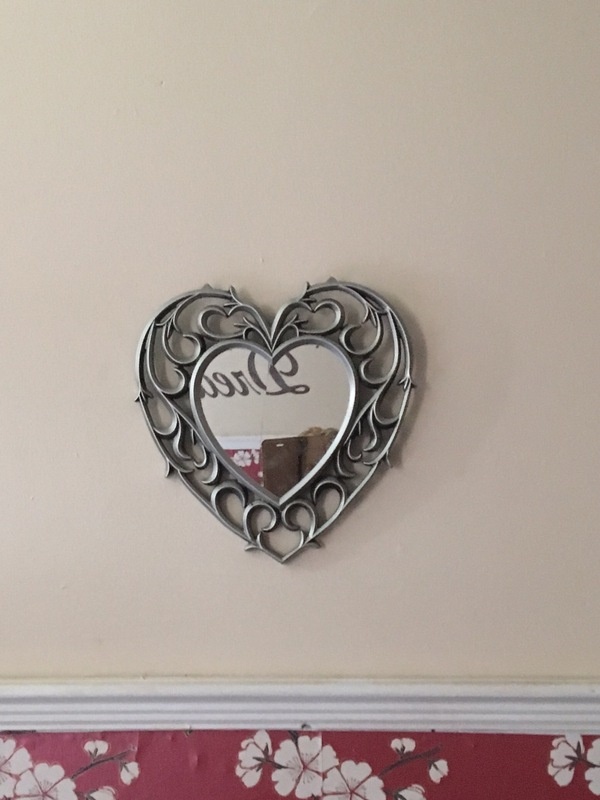 Finally a small heart wall mirror. I have put this in my bedroom as I was lacking a wall mirror. It is fairly small at 25cms but still has quite an effect on the room. It’s frame is plastic but to look at it from a distance it looks more metallic. I did struggle a bit to get this mirror hung too. There are 2 small hooks on the back but these seem quite flimsy and move around a lot when trying to get them onto a wall hook. I was worried about applying pressure whilst hanging it as it is quite a dainty thing which could easily be cracked if I pressed too hard. But… I now have a nice wall mirror at least. At just £5.95 it’s not a bad price at all. Melody mason have some many unique and very pretty items. It’s the sort of place that makes me want to buy everything. The prices are very reasonable and their items really help to turn a house into a home.